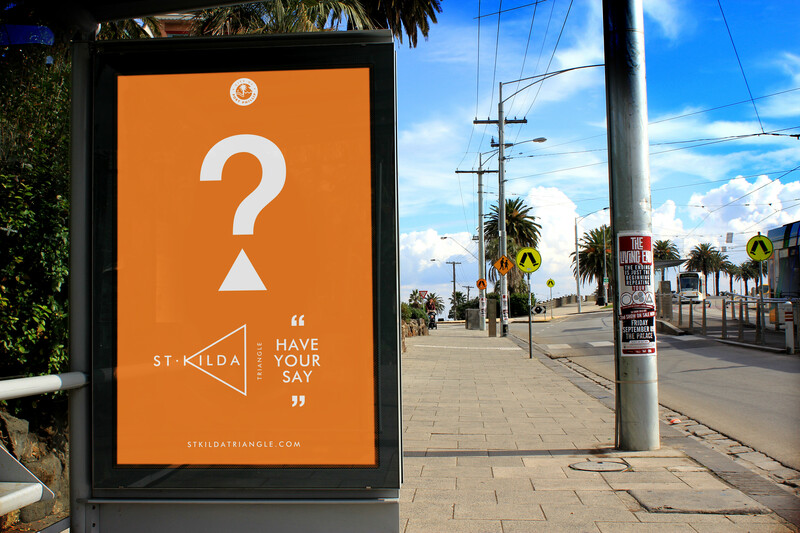 St Kilda is one of Melbourne’s most colourful and well-known suburbs, attracting a diverse range of visitors, residents, and workers. 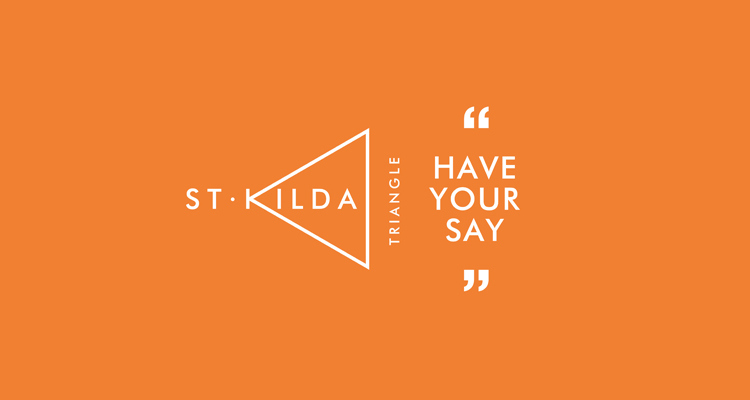 The Triangle site is at the heart of this iconic suburb and is currently used as a large car park next to the Palais Theatre. 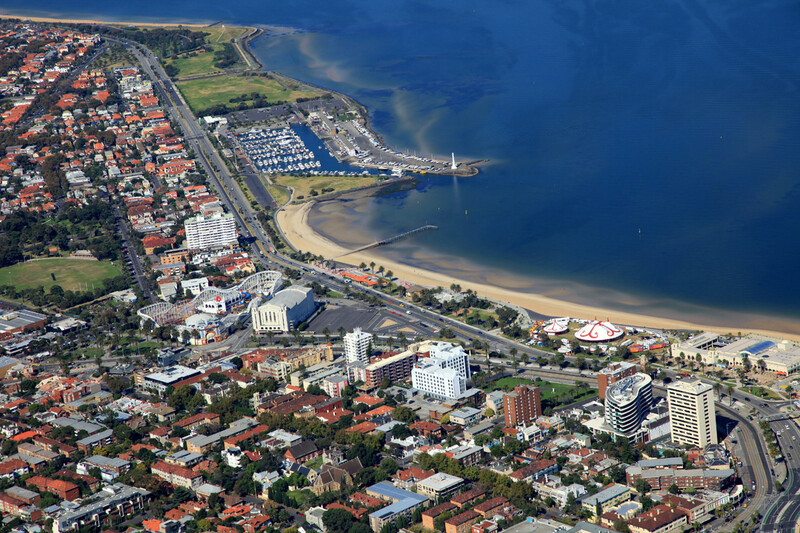 In 2007 Port Philip Council signed an agreement to develop this site into a mixed purpose site. However, community opposition and heated public debate around its use led to a decision to halt any development of this site. 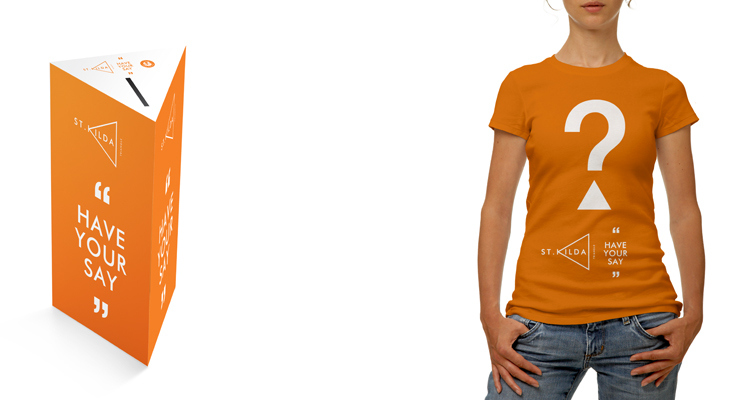 The objective of this project is to restart the conversation with the community around the future of the site and to develop a shared vision. Our solution aims to encourages people to get involved, speak up, have a say and share any opinion they may have on the future of the site. 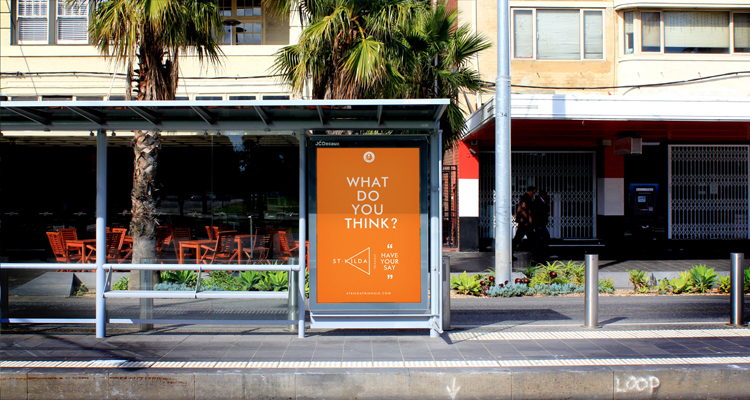 The logomark uses the shape of the actual site to create a megaphone. 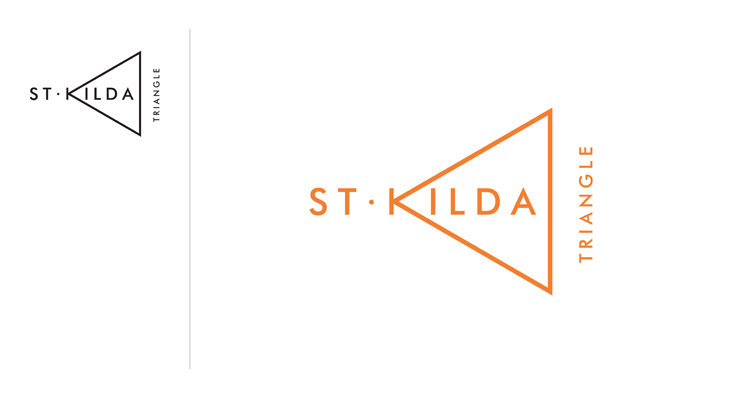 The colour palette, aesthetic and language used are simple, easily recognisable and immediate, they have to be to stand out in the busy St Kilda environment.